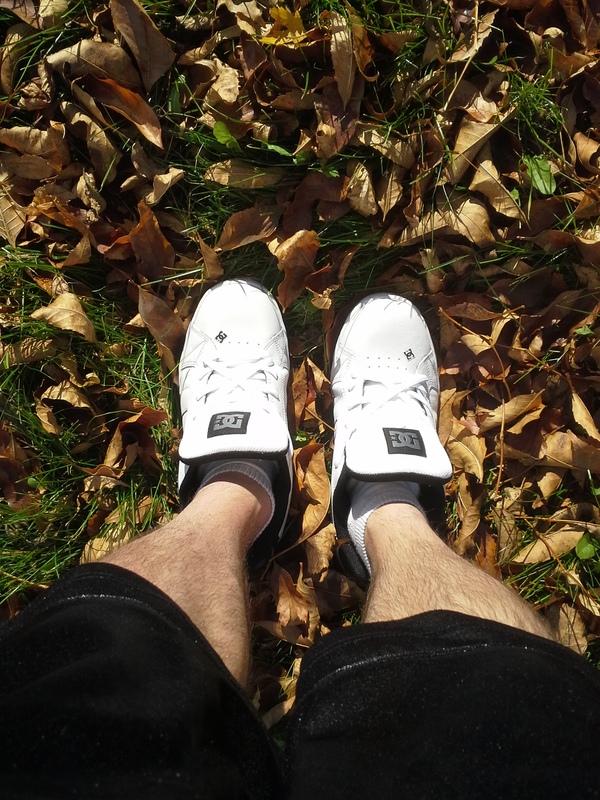 This is for the new shoes, the fresh kicks. The shoes that high-schoolers unlace to relace, to rebrand the brand, using textile blends in long bands, signifying the signing of their own brand. The sun reflects off our feet to pierce your eye and cause retinal blindness; crystal bright and minty breath fresh. Fresh from the box; wash your hands before you even look. I am no heretic, vandal, or villain, but these shoes are not for your children. I am steeped in a hundred percent flavor and two hundred percent proof from the crest of my head to the heel of my hoof. The cap flipped back is white on black mirrored below by the white trimmed with black. These aren’t Jordans, this is not about flight. The DC on the side is like the city where my allegiances lie, though the politicians can suckle on pesticide. These are high stepping shoes; the victory’s in sight. These are not shoes for your closet; they’re shoes for your feet, worn by the every man, for every man on the street with his mind on his stomach and pocketing money for something to eat. These shoes will hopefully age with grace to a greyed out end with holey soles that can’t be replaced.